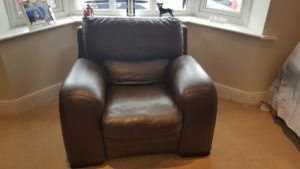 It’s difficult to find specialists in commercial leather furniture cleaning around Doncaster and the surrounding area. In order for your company to keep up it’s appearance your furniture needs to maintain it’s look and feel. You already realise that tatty furniture gives a very bad impression of the of the company. That’s why you are reading this. This means everything from the furniture your clients sit on in the office oroardroom. When they are waiting for you or having a meal. We offer a first class professional commercial leather furniture cleaning service in Doncaster. As a local family firm we can also offer the flexibility of doing the work when you are closed. Such as weekends. Evenings or early mornings. So you don’t have to worry about disruption. Commercial leather furniture cleaning is just the start. We can also repair those cuts and rips that appear from time to time. And we can get rid of those cracks and fading that makes that expensive leather furniture start to look tatty. In fact even if your company changes it’s colour scheme. Don’t worry. We can carry out a complete leather furniture colour change for you. But you will not be able to tell that the now red leather chair in reception was blue before! Leather is a great material giving the appearance of quality and status to your company. It provides your clients with comfort and is a statement about the company itself. High quality. It needs looking after though. Not just cleaning with the correct products. It needs to be re finished also. This puts back the protective coating that keeps it from deteriorating too quickly in the heat and the environment. But don’t let your companies leather furniture deteriorate any further. 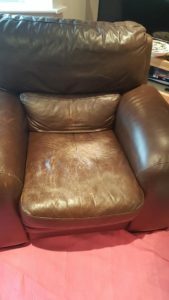 So give Doncaster leather care a call today for a free quote. With our reputation, flexibility and know how. It’s little wonder that we are the leading commercial leather furniture cleaning specialists in Doncaster.